I have some big news regarding my masters to reveal this evening but for the moment I'm going to go back to the old tradition of Favourite Photo Friday because I did some 'normal' photographing last Saturday that I can share with you. 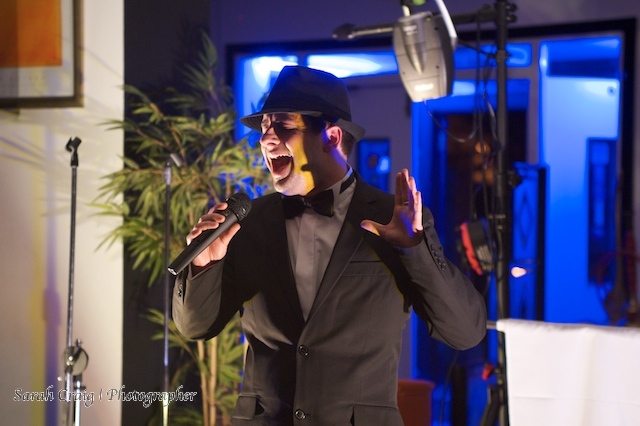 I joined my friend Chris Jackson (Director of Maverick Casting and DJ ) at his residency at Bangla City in Hyde on an evening where his live entertainment was my friends who perform as Rat Pack Revival to see what it's like and to get some pictures for Chris' business. 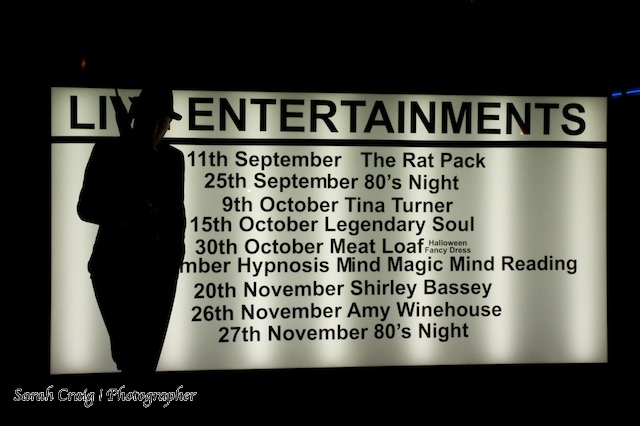 Here's a beautifully silhouetted Liam next to the outdoor sign showing Rat Pack as top listing (well they're first ;) ) and the rest of Chris' upcoming gigs. Bangla City is just a random curry house however the curry was really good actually (thanks Chris!). 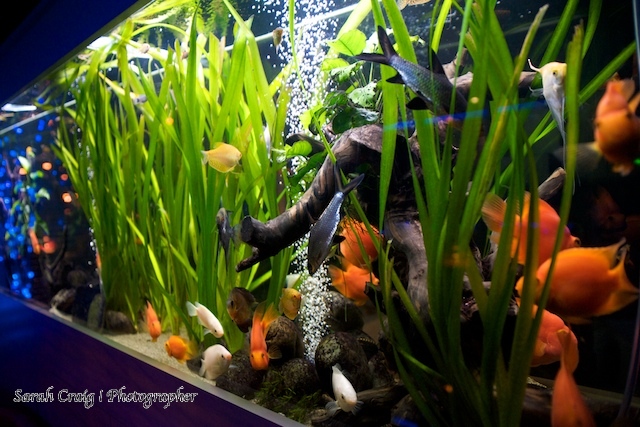 Here's a picture of one of the huge fish tanks! Chris performed in the middle of the Rat's set, and I was really there to photograph that. I think this is my favourite of him. However I think this picture of Vicky is my favourite from the whole night. 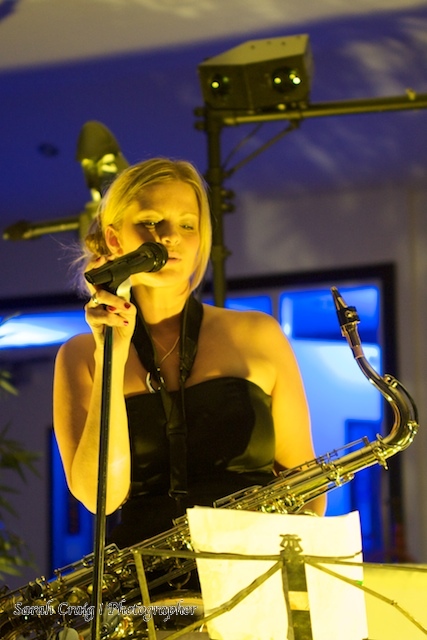 Not sure why, something about the yellow lighting with the blue and the sax and a serene expression! 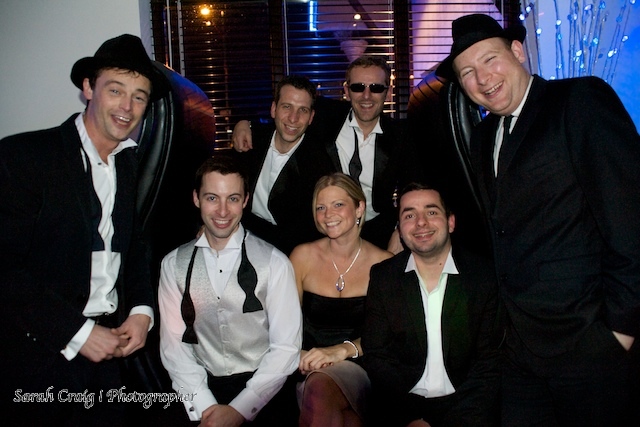 And to finish, the post performance group shot!